At the recent Biz.One event for SAP Business One users throughout North America, SAP Business One Senior Vice President, Luis Murguia delivered a compelling keynote presentation to a standing room only packed house. It was entitled, ‘SAP & Business One: Empowering Your Business in the Digital Economy’. During an early moment in the presentation, Luis Murguia asked the audience to raise their hand if they were going to be doing something to disrupt their industry. As everyone looked around the room, a few hands went up here and there, but most of the growing business audience sat quietly. I quickly wondered if the point he was trying to make was going to have to go in a different direction. However, the response to his question was exactly what he had anticipated. The truth is that we are entering a world of innovation and change driven by a disruptive digital economy. What does that mean? No one need look very far to see examples of this. Think how Uber has changed the transportation industry or how Snap Chat is disrupting the hacker industry with video that just disappears instead of residing somewhere. This digital disruption is all great – but a little overwhelming as a small business owner if you are trying to come up with the next Uber or Airbnb. However, when Luis brought up the book, ‘The Power of Little Ideas: A Low-Risk, High Reward Approach to Innovation’, written by David Robertson and Kent Lineback, one of the biggest trends the authors identified was that most of innovation happening today has zero to do with disrupting a business model or putting businesses out of business. Heck – it doesn’t even have to do with a new monetization model. 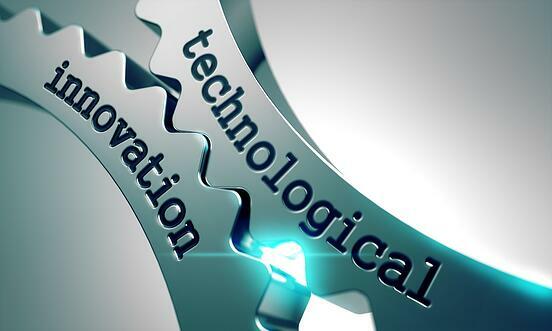 Most of the innovation happening today is within existing business processes. Companies are finding ways to innovate around their core business instead of trying to innovate and disrupt their business. This approach opens new doors for both large and small to midsized businesses alike. A great example of this is Domino’s Pizza. With their app, you custom order your pizza online, but you see the full lifecycle in real time, including who is making it. Domino’s took an established mature industry and innovated around it. Innovation for Small to Midsized Businesses - How to Innovate? So how do you start to do this as a small to midsized business? Remember – we just shared that innovation is not necessarily about disrupting an industry – but extending your core business around it. You need to start with having a strong core. That core needs to be more than a basic piece of software. It goes beyond software applications to run basic business processes like order entry and purchasing. 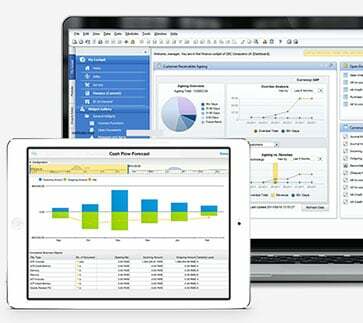 It means having an enterprise resource planning (ERP) system that serves as your digital core. It’s only at the heart of this digital core where you can plug in all these exciting technologies and integrate them into your existing processes for big-time results. Ultimately – ERP is your enabler for innovation. It is the entry ticket that allows you to play in the digital economy with much bigger players. OK - what do you do next to get in the game? According to Dr. Randy Bradley of the Haslam College of Business, University of Tennessee who joined the presentation, you need to first look at your supply chain. You need to ask yourself, “Would my supply chain impress a third grader?” Hmm…I know – it seems like a strange question. But Bradley went on to explain that your supply chain needs to be designed for the customers you are going to have tomorrow. Those customers will not engage, perceive or interact with your brand the same way your customers do today. I think it’s a positive and motivating message for small business owners that innovation can be about extending your core business – you don’t have to revolutionize your industry to be wildly successful. That can have a great impact on the growth of your business and how you serve your customers. The entry ticket to the game is to have that strong ERP system as your digital core. Focus first on having that in place and finding a partner that’s going to be able to help you on that core journey. During the keynote – the bestselling business book, ‘The Power of Little Ideas: A Low-Risk, High Reward Approach to Innovation’ written by David Robertson and Kent Lineback was discussed many times.